Today I want to share my #teacherheart. I don’t know about you but social media gets me down. As I scroll through my Instagram and Facebook feed and look at all the beautiful classroom designs, projects, bulletin boards, and decor and I often feel overwhelmed and even full of envy. 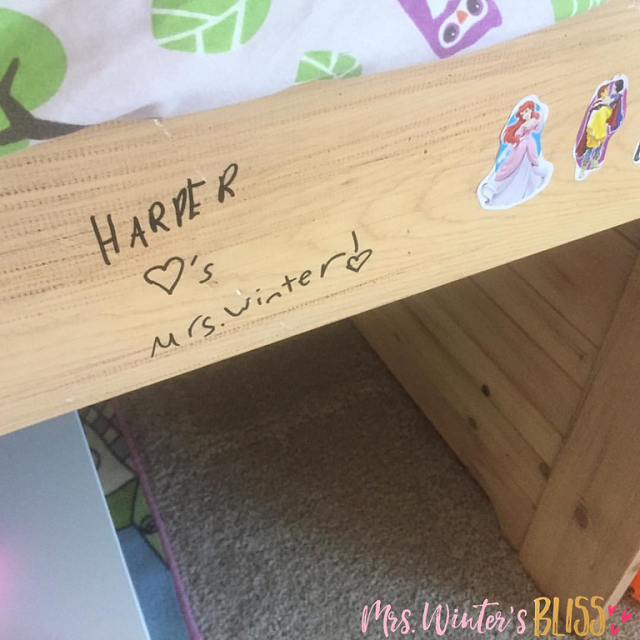 That my friends, is Harper’s bed frame that she wrote on with Sharpie, as in permanent and forever until she goes away to college, Sharpie!! I know exactly why she did this. We built a mutual relationship and it wasn’t because I had the best themed classroom or beautiful bulletin boards, it was because we had a connection. She knew I loved her and believed in her. Harper knew I respected her and wanted her to grow socially, emotionally, and academically under my care. It was because of how I made her and each of her classmates feel. 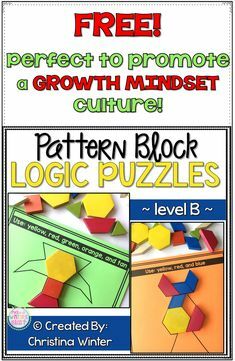 Recently I have been deep into reading and learning everything Growth Mindset. Carol Dweck’s years of research confirms everything I have always believed to be true about our students. Every single one of them has the ability to grow and be successful no matter where they come to us. They have the power to do so with our guidance and support. This post contains some affiliate links. This means that, at no cost to you, I earn a commission should you choose to make a purchase through those links. In all my years of teaching, the one thing I know for sure is if you want to build a growth-oriented classroom, it’s imperative that you spend time building relationships with your students. Our students with a fixed mindset are fearful of and anxious about appearing stupid in front of teachers and classmates. They want everyone to know how smart they are at all times, which is why they tend to avoid challenges at which they may fail. Stepping out of the fixed mindset and into the growth mindset takes vulnerability on the part of students, and it’s likely they won’t be willing to show that kind of vulnerability to just anyone. But for a teacher who trusts and respects them, wants the best for them, and won’t judge them when they make a mistake, they just may be willing to take the leap.I would encourage you to take a few minutes to watch this powerful TED Talk: Every Kid Needs a Champion (7:48) Rita Pierson. How do we get every child to know we value them, believe in them and only want them to be successful in everything they do? Below are ideas paraphrased from the book The Growth Mindset Coach by Annie Brock and Heather Hundley. Students must know that the teacher has faith in their ability to achieve. If we expect our students to have faith in themselves to grow, they must sense that we genuinely, and enthusiastically believe in them too. They need reminders DAILY that you believe in their ability. Students seek and embrace the teacher’s feedback. When students believe that you have their best interests at heart they’ll respond to feedback in more productive ways. Make it clear to students that their growth is your main priority, and let them know that the purpose of constructive feedback is to help them improve. Students know that grades are less important than growth. Help students set goals for themselves. Let them know that grading is part of the process and a source of data about their overall performance, but the most important thing to you is their progression toward the goals that you’ve set together. Keep an open dialogue about overcoming challenges and obstacles, and while grades should matter to you, the letter grade, in itself, should never hold more value than the progress it indicates. Students feel safe with their teacher. Students should feel completely safe (physically and emotionally) in your classroom and in your presence. Students should know that you want what’s best for them, you’ll protect them, and you’ll unconditionally care for them no matter what mistakes they make. 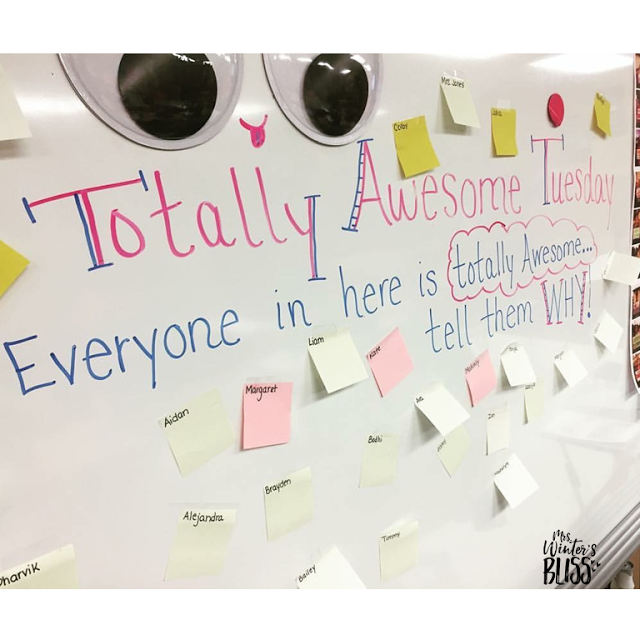 Make copies of the I Wish My Teacher Knew letter paper, place it in an accessible location for students to be able to share thoughts, concerns, or feelings at anytime with you. Students respect and like their teacher as a person. 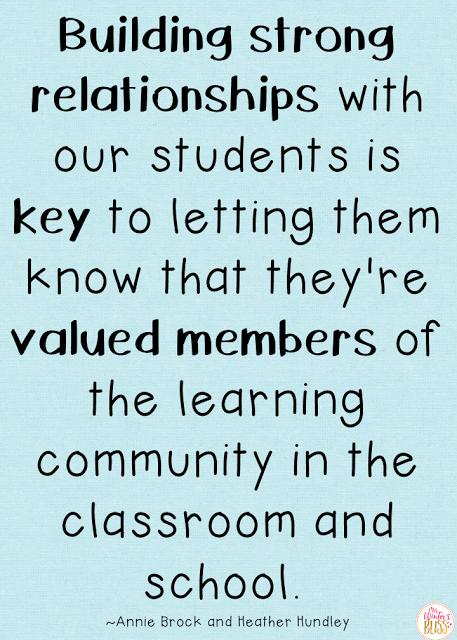 Build deeper relationships with your students and take personal interest in their lives and well-being. Take time to get to know your students’ out-of-school interests. The more information you have about each of your students, the deeper you can build your relationships and better tailor a learning experience most beneficial to them. Likewise, share appropriate personal information with your students to forge a deeper mutual relationship. with their students. Knowing students on more of a personal level helped teachers tailor learning activities to incorporate some of the students’ personal interests, resulting in increased engagement on the student’s part. Gehlbach also theorizes when teachers got to know students better and saw them as individuals with different needs and interests, it affected their attitudes positively towards their students. 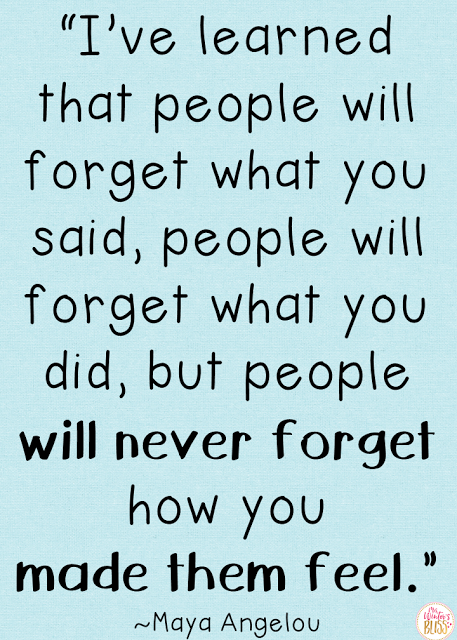 Be intentional and engage with students who you’re speaking with. The two minute check-in. Before school, after school, and during breaks make it your goal to engage students in non-school-related topics of conversation. This strategy will help you learn more about your students’ interest, build trusting relationships, improve classroom management, and curb attention-seeking behaviors. Take time at the beginning of the year to find things you have in common with your students on a personal level. 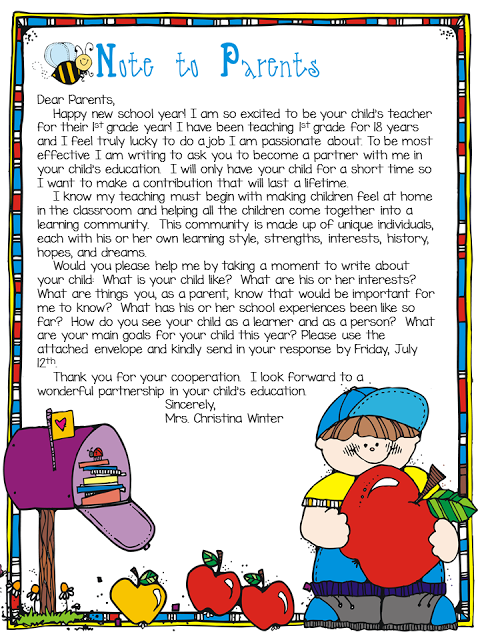 At the beginning of the year, I ask my student’s parents to write me a letter about their child. 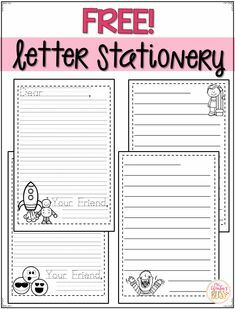 I find out so much VALUABLE information from the letters that I can use build up my students. For example, after learning through *Jack’s letter (my extremely nervous and shy friend) that he was a technology guru at home, Jack became my IT specialist…my students knew Jack could fix anything, he was needed an asset. Jack knew he was of value, he stood taller and his shyness dissipated. (one-on-one or a small group) a great way to get to know your students on a personal level and build rapport. Meet them at the door. Try to personally greet each of your students as they come through your classroom door each day. 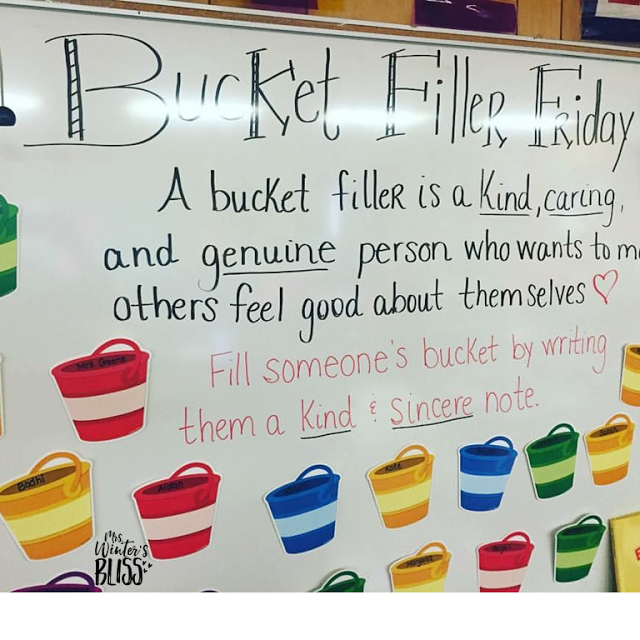 Take time out especially at the beginning of the year to engage students in activities focused on helping everyone to get to know each other better. 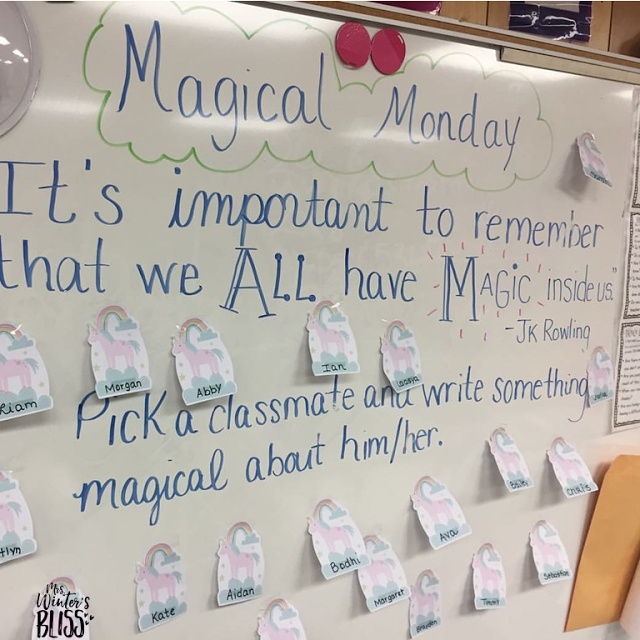 Foster relationship building between classmates, check out these ideas from my friend Marie. Treat students the way you want to be treated. Set rules for the kids, and model those same rules yourself. Allow your students to “call you out” when you break a rule. Thank you so much for this blog post, it reminded me of what I have let slide the end of the year. You are so welcome, thanks for reading! 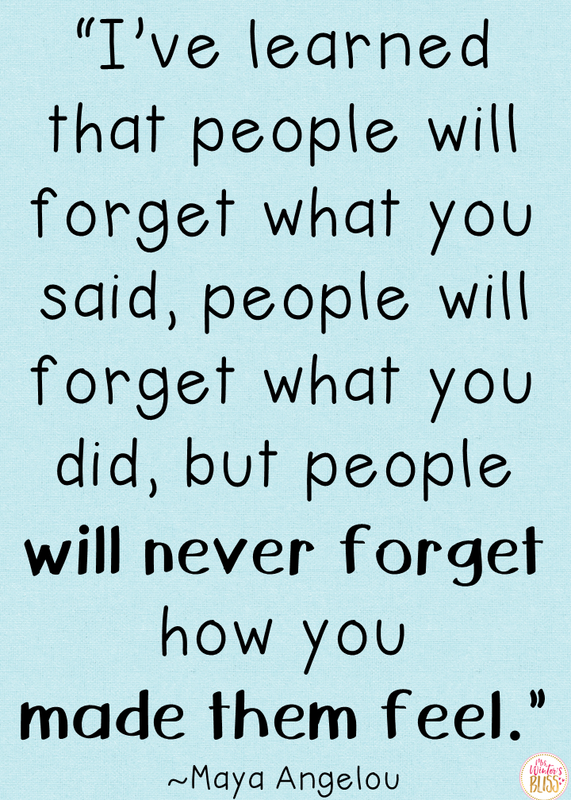 I had a student in first grade that was a child I used to say was the hardest to love, but needing the most love. We ended the school year on a high note, with a special connection between us. Six years later, I was moved to the middle school to teach ELA AIS. Now, I had “heard” that his behavior and issues had magnified over the years, and I must admit that I wasn’t looking forward to having him then. The first day he walked into my 7th grade class, I heard him take a deep breath and say, “It smells like first grade” as he smiled. He remembered the perfume I wore which brought back fond memories to both of us. I thought, I can make a difference again with this child! He proved bigger kid, bigger problems to one point where he threatened to through a scooter through the windshield of my car. I couldn’t imagine what had happened during those six years and all the progress we had made. When I called home, his step-mother answered. She asked me to give him some leeway. I was a little surprised, so she explained that I had always been and still need to be the only teacher on his side. He still cared so much about me that his computer screen saver was STILL a picture of him and I working together from first grade. I’d like to say this experience had a happy ending, but it didn’t. Too many others worked hard to get him transferred to a school that had a behavior program. When he became of age, he dropped out of school and that was the last I heard of him. More of us need to be the screen ‘savers’ for our students. If we are not part of the solution, we are then part of the problem. Oh Lori- thanks for sharing your experience. I agree with you, those who need the most love are sometimes the hardest to love. I bet you are still one of the most influential people in his life. I bet you were heartbroken when he was transferred to another school. 🙁 Thanks for the work you do! Life is connected in so many ways throughout the universe…. I just completed a book study on the book, Help for Billy by Heather T. Forbes (highly recommend) about how trauma affects the brain and meeting the needs of students must be done first before they will have the desire for improving and having a growth mindset. The focus needs to be on the physiological, safety, building relationships and self esteem of the child before solid or significant growth will truly occur. Also, our district is emphasizing a focus on the health and wellness of the students pre-k thru 12, using a standards based implementation process and data from students and teachers. About 17 people (para & classroom teachers, administrators, and a Dr.) gathered for 2 days to start this focus of building relationships and developing their social and emotional well being. I feel teachers try to establish these relationships, but they often feel the pressures of time and achievement, as a result this area tends to be rushed through. In reality, if we spent more time on a continual basis throughout the year the results would be far greater than expected. I too experienced how I had built a strong relationship with one of my students this year. He sent me a short video that his mom recorded sharing how he felt about me. It was quite humbling. Thank you for sharing these ideas and bless you for all you do!